yes, i have an obsession with pillows. why wouldn’t you? they’re comfy. they can have the coolest pillow covers made of fluffiness or velvet or cotton or chenille. and in my personal (humble) opinion, they are really make a space. i confess: we have seven pillows on our master bedroom bed. yes, seven. and mr. re-nest makes fun of me with my pillow obsession every chance he can get. 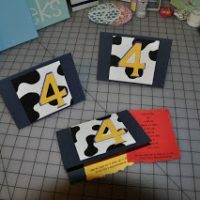 last christmas, i was totally taken with the personalized pillows that red envelope introduced…in fact, i even ordered one for a dear friend. one of these options was a personalized state pillow which was adorable. 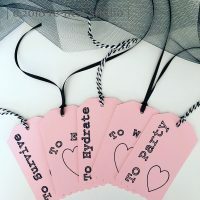 given that i now have two little boys, and while the red envelope ones are lovely, i was trying to stay on the economical side of things for the basement. and, i had to admit, i had my moment of “i can totally make that.” so i jumped in. on a trip to ikea, i found some really cheap (but decently made) 20″ cotton pillow covers, which just happened to come in grey. (woohoo!) plus, they also carry the pillow inserts for an even more economical $6.99 a piece! i took one of each. 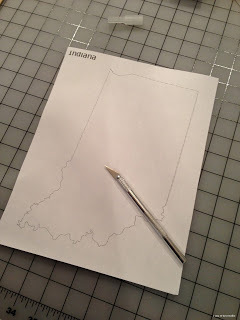 next up was finding a large enough graphic of the state of indiana online. easy peasy, thanks to our good friend google. indiana was printed and ready to be trimmed out with an exacto. 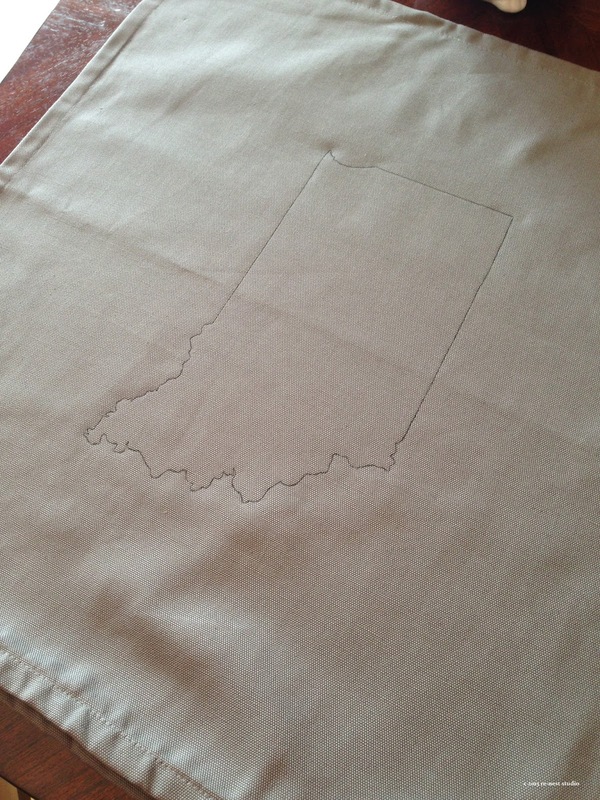 once indiana was ready, she was traced onto the center of my grey pillow cover (i highly recommend tracing with pencil, rather than pen). 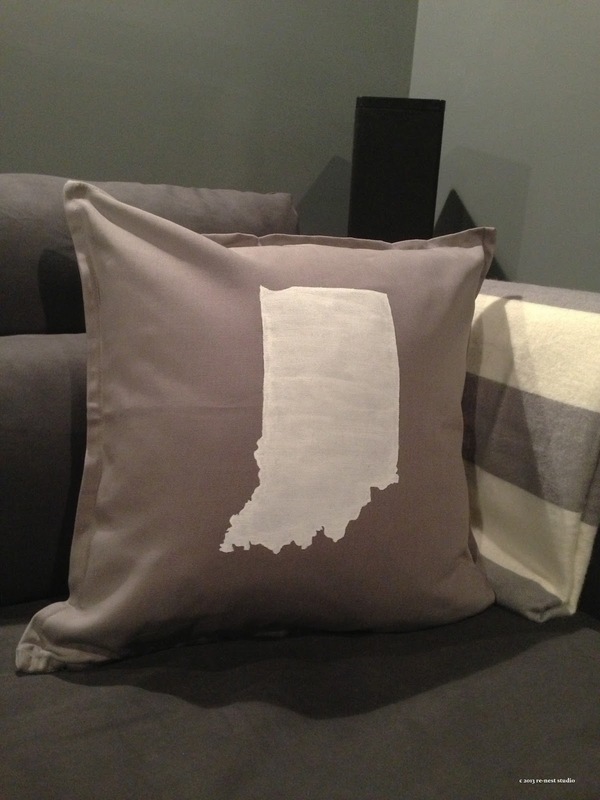 to finish it off, i grabbed some of my white fabric paint, a wide brush and a small, detail brush and got to work with painting indiana on the pillow cover. the finished pillow in its new home! a couple of hints: keep the brushstrokes always going in one direction. use the small, detail brush for the edges. and, don’t be afraid of needing to apply multiple coats. 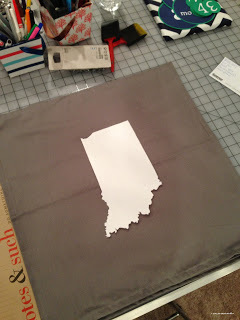 for this pillow, i did two thick coats of the white to make sure there was nice, even coverage. this little pillow makes me smile. indiana is our home. it’s where we were born, grew up, met, married and started our little adventure. once again, thank you pinterest. given my pillow obsession, i had pinned this diy pillow cover a long time ago, and pulled this back out once the basement was ready. 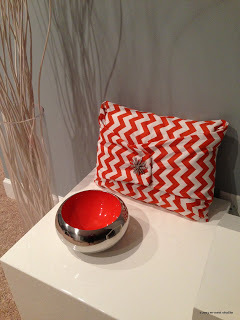 i grabbed a small lumbar pillow from jo-ann’s, and had some leftover orange-and-white chevron fabric from the magnet board project. 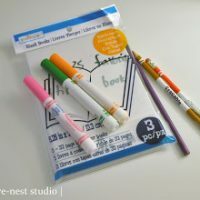 it’s as easy as laying out the fabric, wrapping the long ends towards one another, then folding the ends in as if you were wrapping a present, and folding them over the center of the pillow. i did fold the ends in, and grabbed an old sparkly broach of mine to fasten the ends together. and voila! a great little accent pillow for our new little cube in the basement! 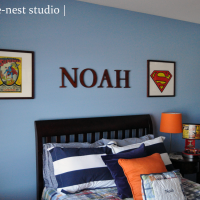 tell us: have you added any new diy decor to your nest lately?